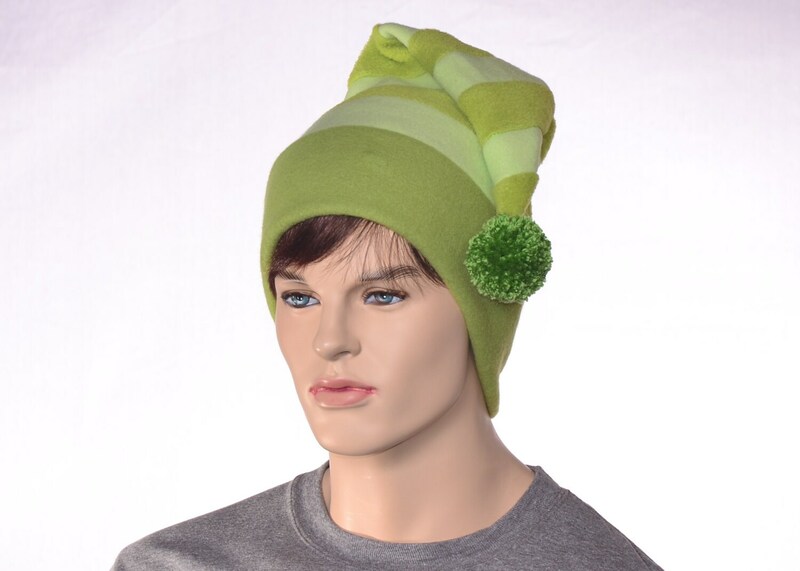 Patchwork striped green tail hat. 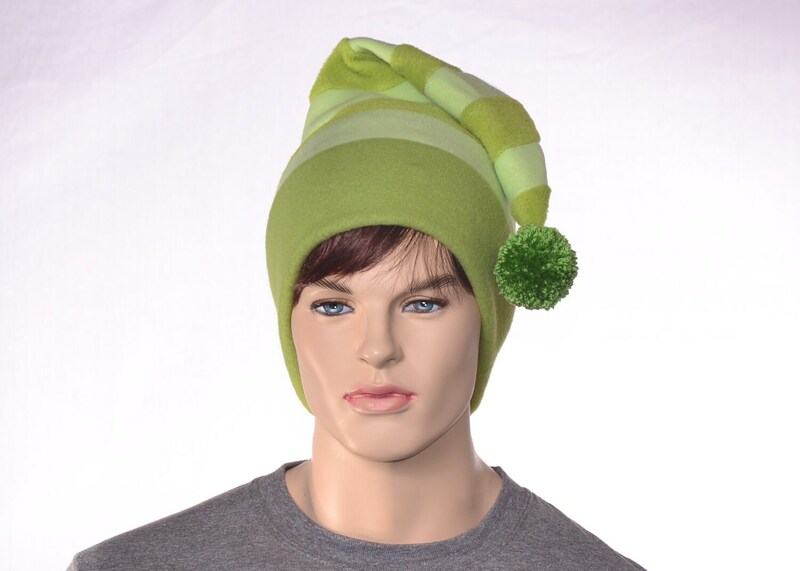 This hat has character, made up of three different green fleeces in three different textures, all soft. 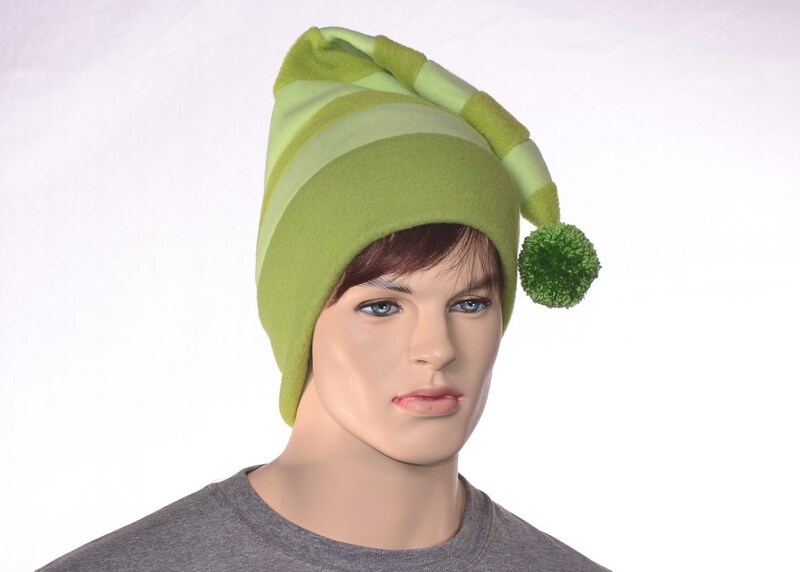 The headband is the darkest sage green, this is a medium plush fleece. This is followed by 10 stripe of alternating lighter shades of sage green, the darker being a heavy plush and the lighter being a light plush. 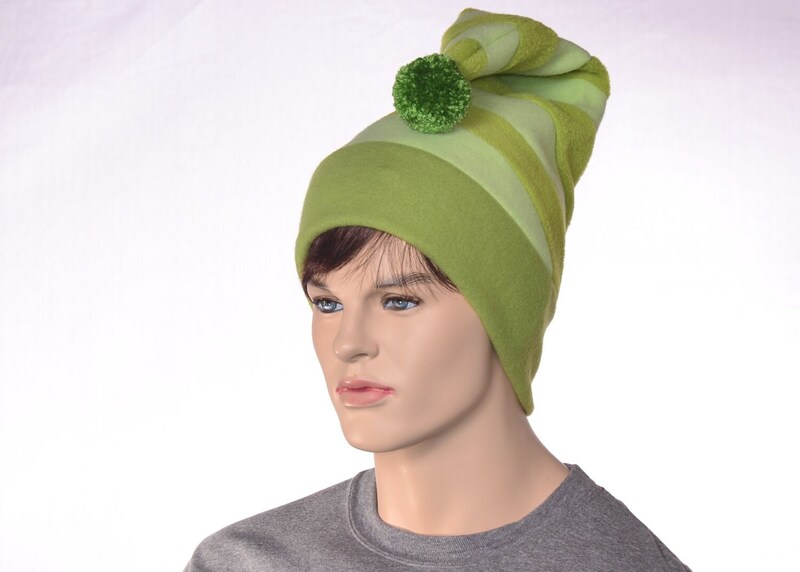 Finished off with an oversized hand tied pompom in a darker shade of green. 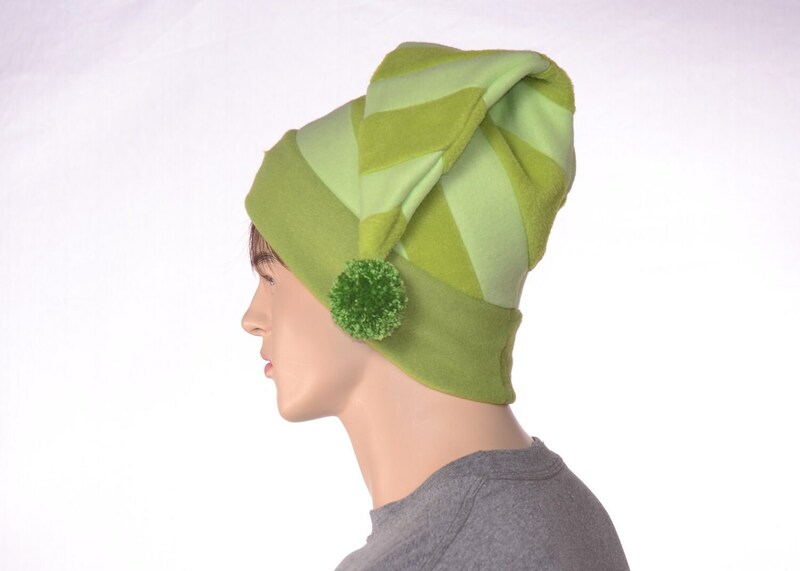 This hat is a patchwork hat with each stripe being a separate piece of fabric.